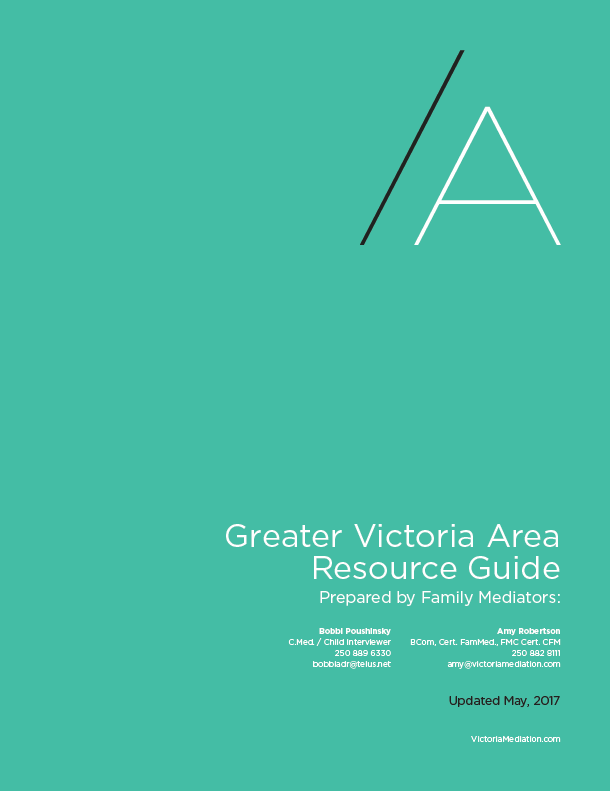 Mediators Amy Robertson and Bobbi Poushinsky have developed this guide to provide you with a list of local Victoria Resources you may find helpful as you work through your separation or divorce process or other transition. We hope this guide makes it easier to locate the services you need. Please note that this guide is not intended as an endorsement of any particular service. This guide lists resources ranging from Free Legal Services, Counselling Resources, to information on Subsidized Housing and much more. This is an extremely comprehensive document with some valuable information. If you are feeling overwhelmed just read a few pages at a time or leave it for another time.